SAN SEBASTIAN is the name in Spanish for this beautiful town. 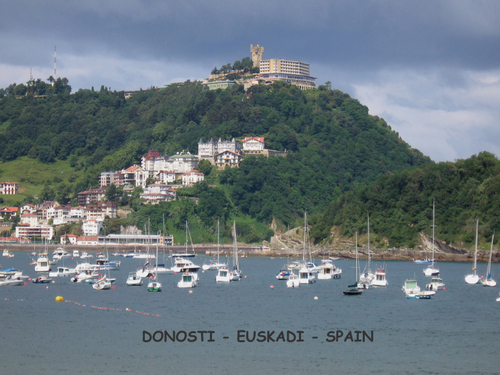 Donosti is the name in the Basque language. If you see one of my films, Gernika Lives or The Real Gernika, you will understand that the Basques are the indegenous people of Europe and that their language is prior to any other.